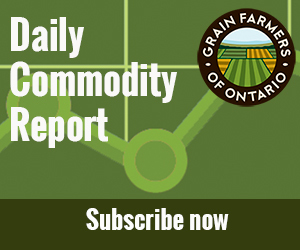 GUELPH, ON (June 21, 2018) – Grain Farmers of Ontario, the province’s largest commodity organization, representing Ontario’s 28,000 barley, corn, oat, soybean and wheat farmers, today announces the initial payments and pool return outlook (PRO) for the six wheat pools managed by the Wheat Marketing department. The initial prices act as an advanced payment on the PRO, estimated at 60 per cent of total value. The PRO estimation is based on current market conditions and how various classes of wheat should expect to perform in the marketplace. The number will change as the year progresses, but announcing an initial figure allows wheat farmers to understand the starting point for the year as they decide whether or not to take advantage of the Grain Farmers of Ontario wheat pool. Grain Farmers of Ontario offers pre-pool and post-pool contracts. Pre-pool contracts offer an advance above the initial price to bring the value closer to 70 per cent to the current cash price. 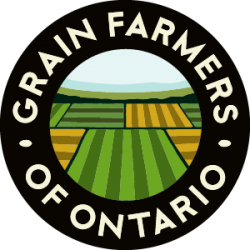 Pre-pool contracts have to be established with Grain Farmers of Ontario prior to delivery. Post-pool contracts allow for delivery into the pool after September and into the spring. Post pool contracts have to be established by September 28. For more information or for updates on the PRO for all wheat classes visit www.gfo.ca/wheatmarketing, or call 1-800-265-0550.